An aerostat tethered balloon floats in the skies Tuesday, Oct. 9, above Isla Blanca Park on South Padre Island. Visitors to Isla Blanca Park on South Padre Island last Friday may have noticed an unusual sight: a large, white blimp-type airship. The airship, or aerostat, belongs to U.S. Customs and Border Protection Air and Marine Operations, which deployed the tethered aerostat at the U.S. Coast Guard Station on South Padre Island late last week. The statement goes on to assert that the aerostat’s presence will curb the flow of illegal drugs and illegal immigration through South Texas leading to safer and more secure communities. The aerostat is the first of its kind to operate in Cameron County and brings the total number of aerostats deployed in the Rio Grande Valley to six. CBP Spokesman Roderick Kise said in an email that Border Patrol operates five land aerostats in Hidalgo and Starr counties. Those aerostats are stationed in Peñitas, Falfurrias, Sullivan City, Rio Grande City and Roma. While South Padre Island is known throughout the rest of the country and locally as a destination for great beaches, fantastic fishing and fresh seafood, it’s also frequently used by drug traffickers and human smugglers to evade federal authorities. The U.S. Coast Guard also reports regularly encountering illegal Mexican fishing vessels miles off of South Padre Island’s coastline. Just last month, multiple law enforcement agencies arrested three Tamaulipas men who are accused of unloading approximately 480 pounds of marijuana off of a fishing boat near a popular beach bar on South Padre Island. CBP Marine Interdiction agents intercepted the boat approximately 100 yards north of the jetties, according to federal court documents. That’s just one of multiple instances of drug trafficking and illegal immigration cited in federal court documents filed this year. The CBP aerostats were first deployed to the Rio Grande Valley in 2013. The airships roam approximately 1,000 feet above the ground and are equipped with cameras, which have a range between five and ten miles, according to newspaper archives. The aerostats are also equipped with infrared technology. When the Defense Department and CBP announced that the aerostats, at least one of which was used during combat in Afghanistan, authorities sought to assuage privacy concerns. 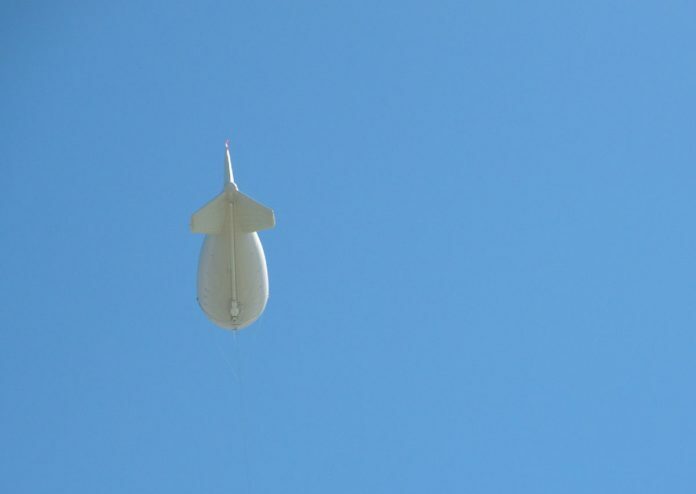 John Milne, a CBP supervisor, told The Monitor during a press conference in Peñitas in 2013 that the aerostat would not infringe on people’s right to privacy.